So excited to announce that my recent styled shoot is featured on Style Me Pretty today! For the past few years I have been smitten with the concept of an elopement. Everytime I come across a couple who chooses this kind of wedding day I smile a little bigger. Don’t get me wrong I still love a traditional wedding day but I find something a little special in the choice of proclaiming your love and vowing a lifetime together amongst yourself or a chosen few. A girl always dreams about her wedding and all the little details that bring everything together. From the flowers to the linens and the custom made name place carvings we wanted this elopement to spare no details. 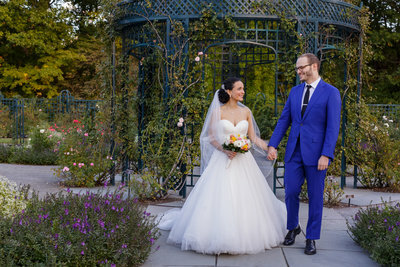 Lauren of Elle’s Couture Events and I teamed up together to bring an intimate elopement in Brooklyn to life. 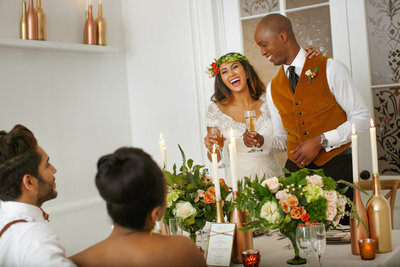 We knew that ICI Restaurant would provide the perfect backdrop to compliment our peach and earth tone theme. I couldn’t have asked for a better team to pull this off!